I was in the supermarket and I noticed that one brand of "organic" carrots was a very pale orange, but another brand of carrots was bright orange. Is this color difference because the carrots are being dyed? 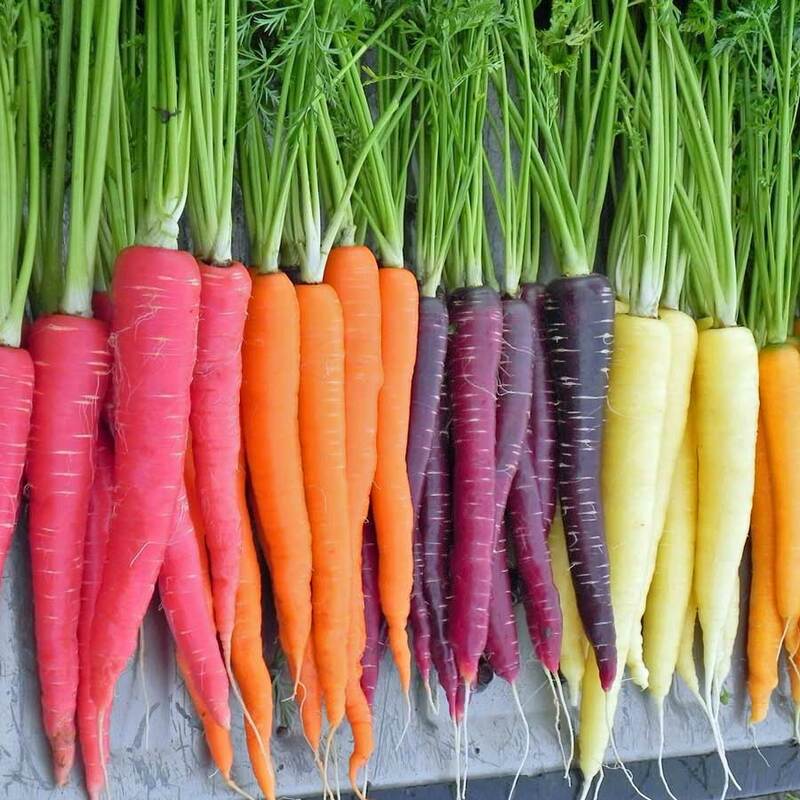 Carrots naturally (or due to selective breeding) come in an extremely wide variety of colors from white to yellow to orange to red/pink to purple. It's likely that you were simply looking at two different varieties, one of which was more pale than the other. It's probably not anything so sinister. Even typical orange carrots do vary somewhat in hue. And as with many other vegetables, "heirloom" varieties of carrot have started to make a bit of a comeback in the US. As you can see here there's a wide variation in color among these heirloom versions; they can range from very pale, almost white to brilliant orange to a deep purple. The other answers did not mention the packaging. Carrots that come in bags (like baby carrots) often have an orange grid pattern painted on the bag. This makes the carrots look significantly more orange than their non-bagged counterparts. 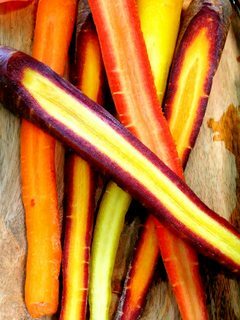 Carrots come in lots of colors from pure white, yellow, orange up to and even including deep purple. Carrots are not dyed, but they are orange because of a substance (Carotene C40Hx) in them that is actually named after carrots. Many other orange foods get their orange color from Carotene. In response to your question, carrots are not dyed. 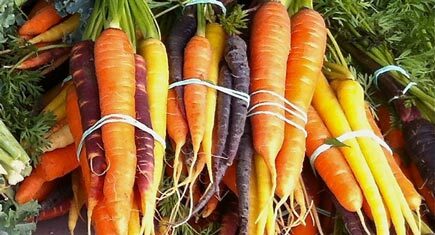 (Unless of course you are talking about the mini frosting carrots on carrot cakes) Regular carrots, however contain a natural pigment known as carotene which is also found in humans to some degree. This carotene is naturally orange leading to the color of carrots. Technically speaking, if you ingest enough carrots, or any other food such as tomatoes rich in beta-carotene, you will take on a slight orange color in a condition called Carotenemia. Not the answer you're looking for? Browse other questions tagged vegetables carrots coloring or ask your own question. Why are non-orange coloured carrots so uncommon? Why are drippings from restaraunt ground beef colored orange? What can be done with bitter carrots? At what point should carrots be thrown away? What is the white film on my wet carrots? Carrots turning dark at heads, and on skin after chopping? Why would a commercial kitchen buy enormous carrots?